Did I steal that headline from Walt Simonson’ seminal run on Thor? Why yes, yes I did. But hey, if you’re going to steal, steal from the best, and Simonson’s Thor is the best. While his years-long run with the God of Thunder ended in the 80s, Simonson has made repeat returns to Norse mythology with various Ragnarök miniseries, and this July, he comes back for more. This time, Simonsons ventures into the realms of the dead for The Breaking of Helheim, a new six-part miniseries from IDW. Plus, he and Usagi Yojimbo creator Stan Sakai will join forces for interlocking covers between their two titles, which almost guarantees they’ll be some of the best comic images to ever make it to print. 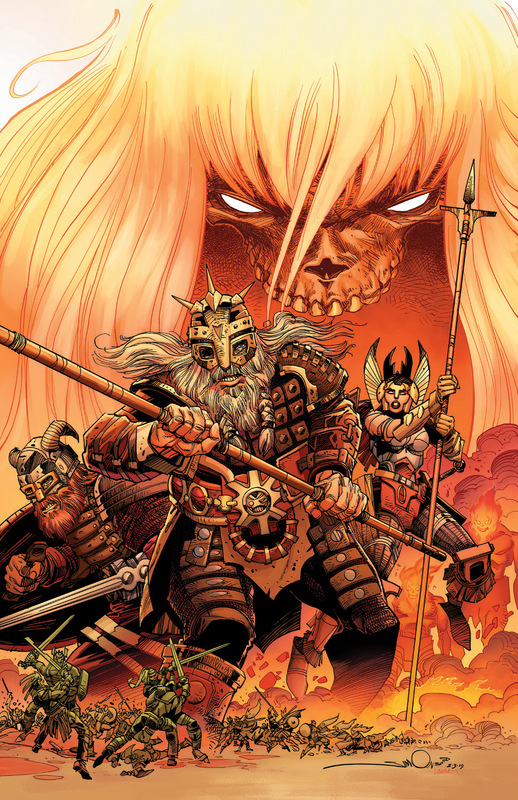 SAN DIEGO, CA (April 1, 2019) – IDW Publishing is proud to announce the third chapter in Walter Simonson’s sweeping Ragnarök epic: The Breaking of Helheim! A six-issue odyssey into the deepest corners of the Nine Worlds, The Breaking of Helheim is written and illustrated by the comic book luminary whose name has become synonymous with the Norse pantheon and modern myth-making! Over the course of his career, Walter Simonson has written and drawn nearly every major character from both Marvel and DC Comics, with his run on Marvel's Thor from 1983 to 1987—in which he created the character Beta Ray Bill—being a particular standout. His other notable works include an adaptation of Alien, with his Manhunter collaborator and close friend, Archie Goodwin; Star Wars; The Fantastic Four; and Orion and Elric. In the 1980s and 1990s Simonson resurrected the concepts from his college thesis, creating the Star Slammers original graphic novel and miniseries. In 2014, Simonson launched Ragnarök with IDW Publishing, a creator-owned series that once again brings him back to his beloved Norse mythology. Ragnarök: The Breaking of Helheim #1 will hit comic shops and digital retailers this July.